The Standard Euro Reflector is a value-for-money reflector for first-time growers or more experienced gardeners on a budget. It has a V-ridge along the top and silver dimpled wings for excellent reflectivity, light dispersion and reduction of hot-spots. 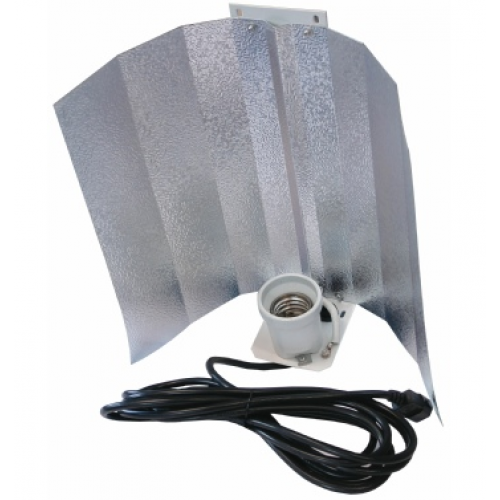 The Euro HPS grow light reflector has a ceramic lamp-holder for reliability and heat-resistance and has 2 convenient tabs on the top for easy hanging. It is an excellent no-frills product where cost is a major concern.